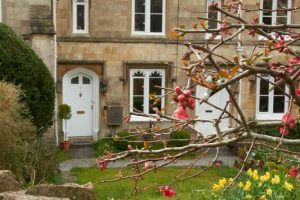 This charming, historic two-bedroom cottage nestles in a tranquil corner of Bath, but is only ten minutes’ stroll from the city centre, offering an ideal retreat for a romantic getaway or a base for exploring the glories of the West Country. Beautifully refurbished in 2015, this 1843 almshouse nestles in a secret corner of the city, only 15 minutes from the M4 and a gentle walk downhill to the centre of Bath. There is plenty of parking, so you can leave the car and walk this historic town at your own pace. 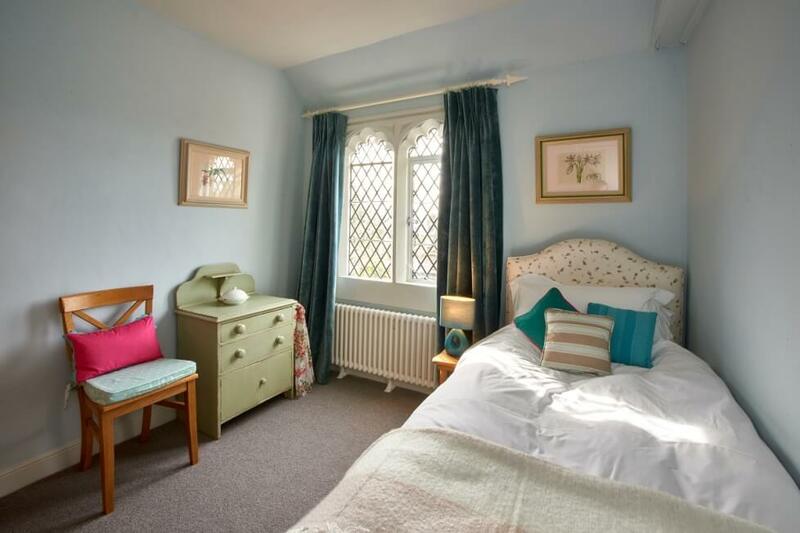 The main bedroom, with king-size bed, looks over gardens towards the church; the second bedroom can be made up as a single or twin-bedded room. 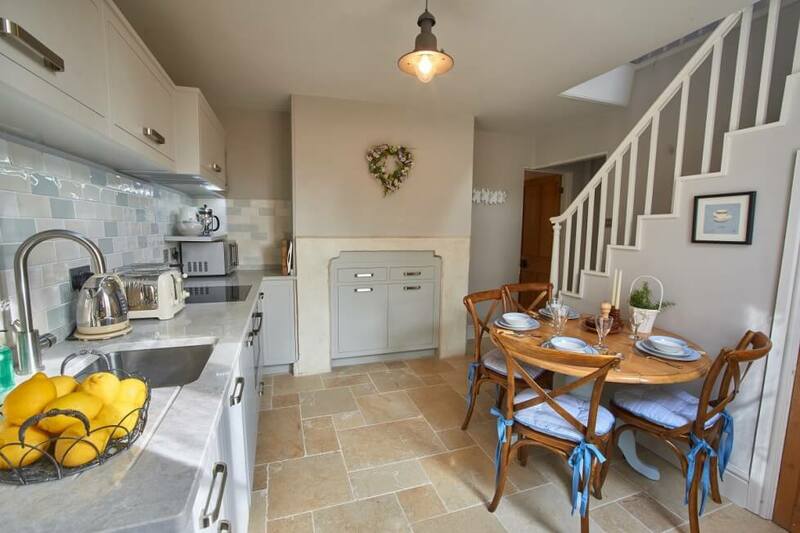 The original features have been carefully preserved, but this charming house lives comfortably in the 21st century, including WiFi, flat-screen TV, and DAB radio. 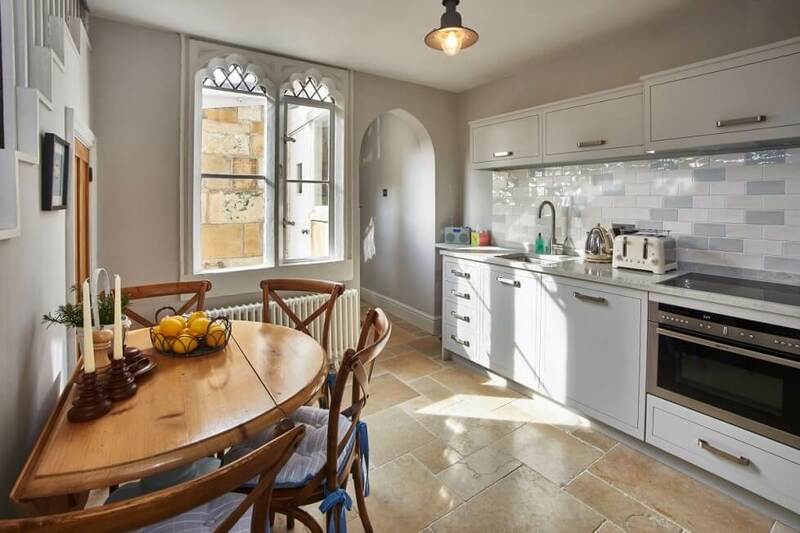 Guests can enjoy breakfast or an evening drink in the private courtyard, cook a delicious dinner in the Harvey Jones kitchen, or treat themselves in one of Bath’s many award-winning restaurants. Luxuriously furnished, this cosy cottage offers everything you need for a very special break, from champagne flutes to Egyptian cotton sheets and even a welcome basket on arrival! 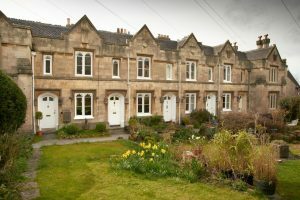 Bath has so much to offer, from the Roman Baths and gorgeous Georgian crescents, to the ultra-modern Thermae Bath Spa, quirky independent shops, museums and cultural festivals, that you may want to plan a longer stay to explore the glorious countryside: just let us know. 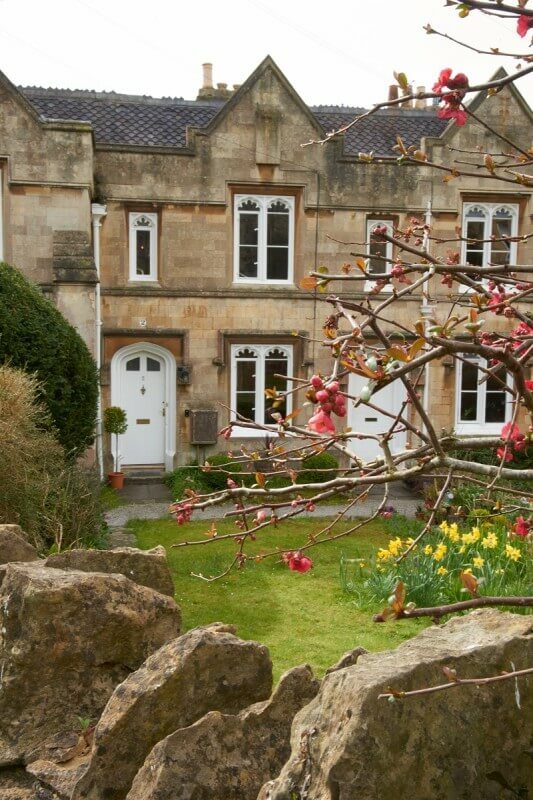 Location: Tucked away in Lansdown on the North side of Bath, but only ten minutes' walk to the heart of the city. Bedrooms: Master bedroom with King-sized bed; second bedroom with single bed and trundle beneath, can also be made up as two singles or together as another King-sized bed. Bathrooms: One bathroom, with rainshower over bath; second separate toilet, both rooms on ground floor. 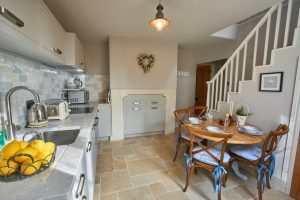 Kitchen: Fully equipped kitchen, with fridge-freezer, induction hob, oven, separate microwave; washing machine and dishwasher in utility room. Entertainment: Flat-screen televisions in sitting room and master bedroom, separate and integrated DVD players with both; radio in kitchen with Bluetooth facility allowing guests to play their own music from iPods, etc. WiFi throughout the house. 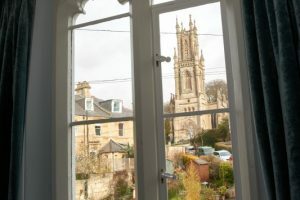 General Points: The house is furnished with an eclectic mix of antiques and modern pieces designed to ensure guests feel completely comfortable and at home during their stay. All linens and towels are provided, as are complimentary toiletries and kitchen essentials (salt, pepper, washing up liquid, etc. ), and we also leave a welcome basket so you don't have to run straight out to the shops! 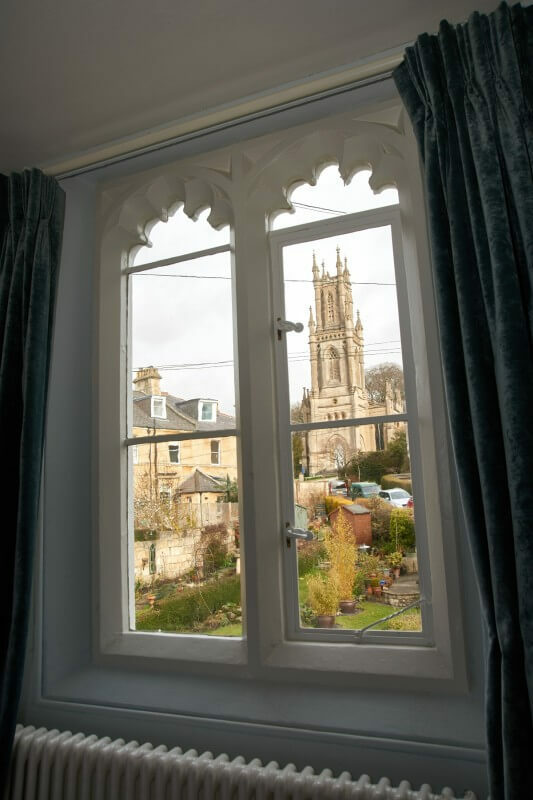 A folder containing up to date information on what's going on in Bath is supplied, and as we live only two minutes away we are always on hand to offer advice or suggestions to guests. Parking: Parking on St Stephen's Road, by permit (supplied), or four hours free. Smoking: No smoking at all in the house or in the communal garden. Children: Children are welcomed, but we have no facilities for babies or toddlers (e.g., cots). 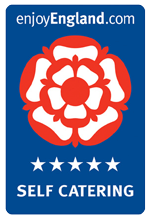 Local Pub/Restaurant: Numerous pubs and restaurants in walking distance, including The Richmond Arms and The Hare and Hounds to the North of the cottage. Too numerous to mention, but the City itself boasts the Roman Baths, Royal Crescent, Thermae Bath Spa, Beckford’s Tower, Bath Rugby and Pulteney Bridge, and year-round festivals. Further afield is Dyrham Park, Bradford on Avon, historic Lacock and Castle Combe, and Stonehenge and Avebury, not to mention fabulous country walks through enchanting villages, perhaps stopping at a cosy local for a quiet pint. 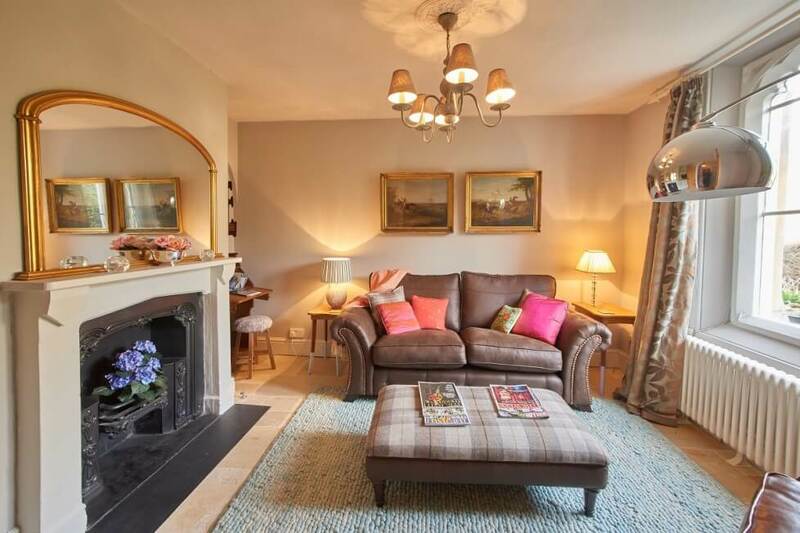 Short Breaks: From: Midweek break: three nights for the price of two. Full week stays from £820 (Price for 2 people - there is an extra charge for additional guests per night). 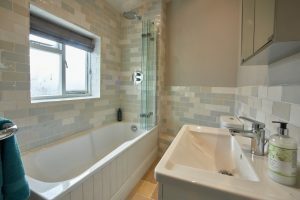 All prices are quoted for two guests sharing the master bedroom. Should guests prefer to use the second bedroom they will be charged £50/night. 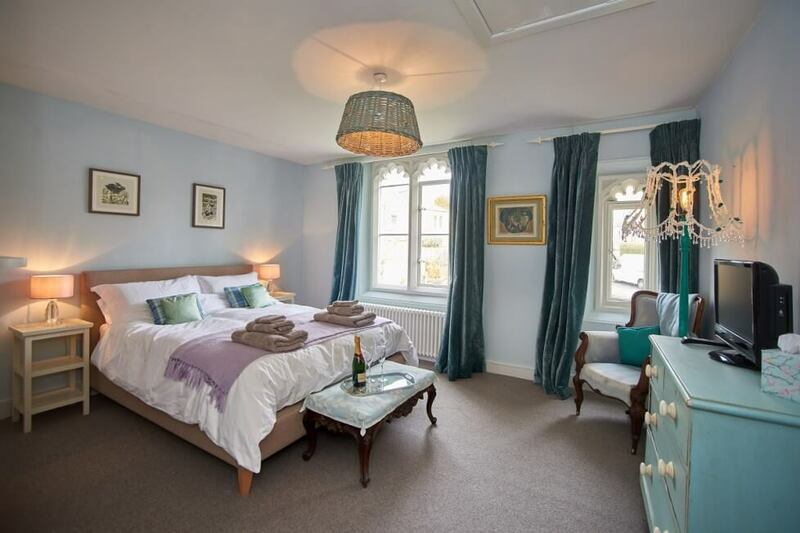 There is a two-night minimum charge, and further guests are charged at £50/night/person. There is a discount for stays from four to seven nights, and a further discount for longer stays; please enquire for a precise quote.